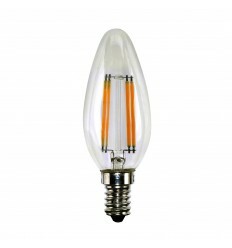 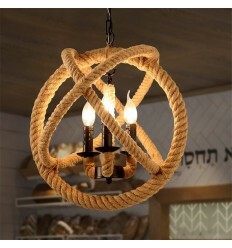 Toba Mango Wood 4 Light Pendant - Hegarty Lighting Ltd. 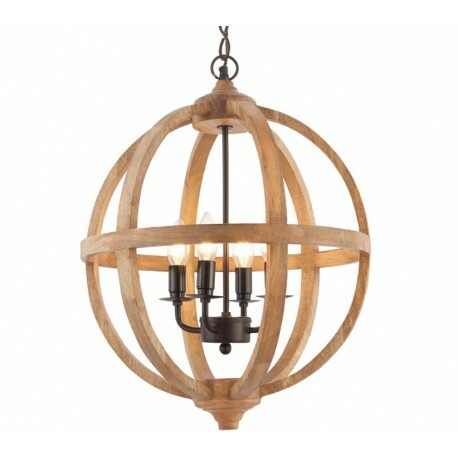 This open globe pendant surrounds a quad of candle bulbs in dark bronze finished lamp holders. 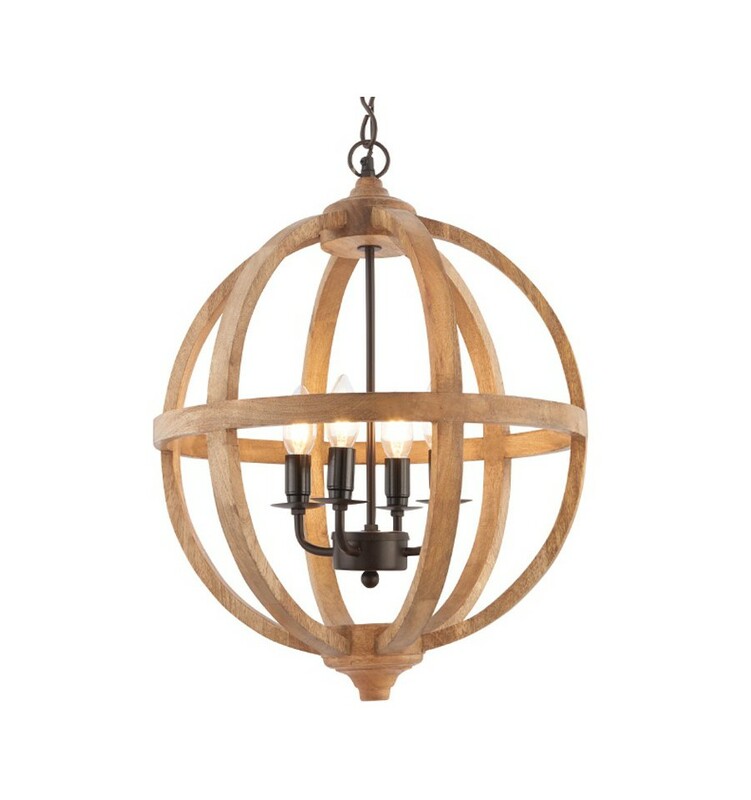 The contrast of the bronze and lighter mango wood provides a relaxing calming feel to your overall decor, whilst still providing a stunning ceiling piece for your room.